Summer is around the corner. Longer days and less busy schedules are conducive to getting around to those tasks on your to-do list that you haven’t completed yet. If you or another member of your family is due for a visit to the dentist, summer is the perfect time for that appointment. Dr. Deborah Romack and Dr. Garrett Mulkey of Cosmetic & Family Dentistry in Weatherford, TX, provide a full menu of services for general dentistry in Aledo. As general dentists, Dr. Romack and Dr. Mulkey are primary dental care providers for patients of all ages in Aledo and surrounding communities. They have the education, training and experience to treat you and your entire family, helping everyone enjoy good oral health. And because of the proven connection between your oral health and your overall health, the care our dentists provide may help you avoid serious illnesses and diseases. When you come to Weatherford for a general dental checkup at Cosmetic & Family Dentistry, our dentists and their staff of dental hygienists and assistants will clean your teeth and remove plaque buildup, assess the health of your gums and other soft tissue, check for signs of tooth decay and when necessary, we’ll take digital x-rays to find spots of decay that may be hiding between teeth or just below the surface. We’ll also look for any indication of teeth grinding, TMJ disorder or sleep apnea, all of which are conditions that we can treat. If we do discover a problem, then we probably have the restorative treatment that’s necessary. For example, a cavity caused by tooth decay can likely be treated with a tooth-colored filling. More serious decay or a cracked tooth, may necessitate a porcelain crown that will fit snuggly over your tooth, thereby restoring its appearance and function. 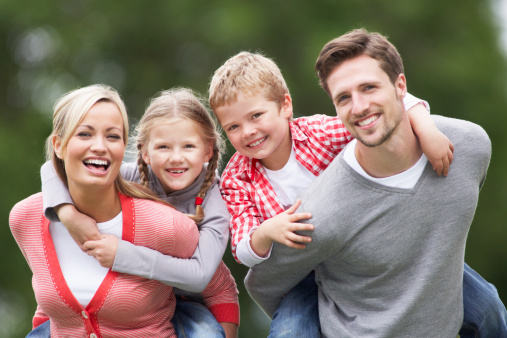 Take advantage of summer and schedule an appointment at Cosmetic & Family Dentistry in Weatherford, TX, the general dentist Aledo trusts. We also serve patients from the surrounding communities of Brock, Millsap, Springtown, Mineral Wells, and beyond.